KC Adams is a Winnipeg-based artist who works in a variety of media: sculpture, installation, drawing, painting, photography, ceramics, printmaking, and kinetic art. She has had several solo exhibitions—most recently, Legacy at the Parramatta Artists Studios, in Parramatta, Australia—and has been featured in numerous group exhibitions, including Anthem: Perspectives on Home and Native Land at the Carleton University Art Gallery; Circuit City (My Winnipeg group exhibition), at la maison rouge gallery in Paris; The Language of Intercession at the Oboro Gallery in Montreal; and Cyborg Hybrids at Photoquai: Biennale des images du monde in Paris. She has done residencies at the Banff Centre, the Confederation Art Centre in Charlottetown, National Museum of the American Indian in New York, and a Canada Council International residency in Parramatta, Australia. KC has received grants and awards from the Winnipeg Arts Council, Manitoba Arts Council, and the Canada Council for the Arts. Twenty pieces from her Cyborg Hybrid series are in the permanent collection of the National Gallery of Canada. 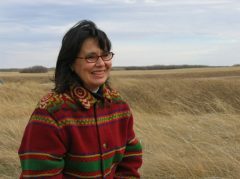 She has an extensive background in arts administration in Winnipeg, serving as Administrative Coordinator at Plug IN ICA (Institute of Contemporary Art), Board President at the artist-run centre aceartinc, and Director of the Urban Shaman Gallery. She has also taught art to children at Art City, Learning Through the Arts, and the Manitoba Arts Council’s Artist in the Schools program. KC is a graduate of Concordia University and holds a BFA in studio arts. 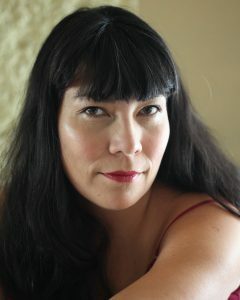 Christine Welsh is a producer, writer, and film director known for her strong commitment to documenting the experience of Indigenous women in Canada. Her films include Women in the Shadows, a one-hour documentary about her search for her Métis grandmothers. The film won the Best Documentary award at the 1992 Vancouver International Film Festival and was nominated for a Gemini award for Best Documentary. Keepers of the Fire, a tribute to Aboriginal women’s resistance, earned her the honour of being named co-recipient of the first Alanis Obomsawin Award for outstanding achievement in the Canadian Aboriginal film industry. Her most recent film is the feature-length NFB documentary Finding Dawn, which profiles three of the estimated 500 Native women who have been murdered or gone missing in Canada over the past thirty years. Christine is currently an Associate Professor at the University of Victoria where she teaches courses in Indigenous Women’s Studies and Indigenous Cinema. John Kim Bell is a pianist, composer, conductor, music producer, arts administrator, and was the first person of aboriginal heritage to become a symphony conductor. Born in Kahnawake, he began conducting for the Broadway stage in New York at the age of eighteen. He has composed music for film and television and is the founder of the Canadian Native Arts Foundation, National Aboriginal Achievement Foundation, and the National Aboriginal Achievement Awards. Over a period of twenty years, he built the Foundation into Canada’s largest Aboriginal charity. He is a recipient of the Order of Canada, holds six honorary doctorates, and, amongst other honours, received a Lifetime Achievement Award from the Royal Conservatory of Music in 2007. 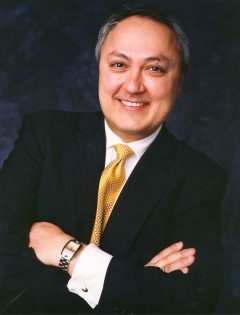 His proposal to establish a loan guarantee program for First Nations was successful with Ontario announcing a $250 million loan guarantee program in March 2009. Mr. Bell is currently taking an active role in the development of energy projects involving First Nations. He recently established the Enbridge School Plus Program, which awards $1 million to First Nations schools in Western Canada. Mr. Bell is President of Bell & Bernard Limited, a management consulting firm specializing in First Nations economic development and energy. Skawennati is a Montreal-based artist and independent curator who holds a Bachelor of Fine Arts and a Graduate Diploma of Institutional Administration from Concordia University. Recipient of the 2011 Eiteljorg Contemporary Art Fellowship, she is recognized as a pioneering New Media artist. Her art, addressing history, the future, and change, has been widely exhibited across Canada, the United States, and Australia. 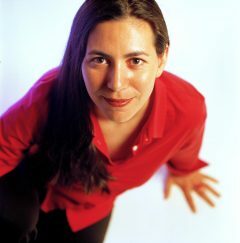 She created the Aboriginally-determined, online gallery and chat space CyberPowWow in 1996, followed by Imagining Indians in the 25th Century, a web-based paper doll/time-travel journal, which has been presented across North America, most notably in Artrain USA’s three-year, coast-to-coast tour of the show Native Views: Influences of Modern Culture. Her production TimeTraveller™ is a multi-platform project featuring a machinima series. Its website, www.TimeTravellerTM.com, won imagineNative’s 2009 Best New Media Award. Additional projects include Artist for the Ethical Treatment of Humans, a subvertising response to an exploitive PETA campaign, and 80 Minutes, 80 Movies, 80s Music, an ongoing series of one-minute music videos. Skawennati is Co-Director of Aboriginal Territories in Cyberspace, a network of artists, academics, and technologists investigating, creating, and critiquing Aboriginal virtual environments. AbTeC’s Otsì:!, a video game mod created with students from the Kahnawake Survival School, won imagineNative’s 2010 Best New Media Award. Stephen Leafloor is the founder of BluePrintForLife, which utilizes HipHop as both a community development tool and a model for alternative education. He has over 27 years experience as a social worker in the areas of probation, wilderness programs, street work with youth at risk, residential group homes, child protection, and community outreach. Stephen has been active in HipHop culture as a dancer since 1982, and in 1986 completed his Master of Social Work degree at Carleton University with a thesis on HipHop culture and its importance for educators and social workers. 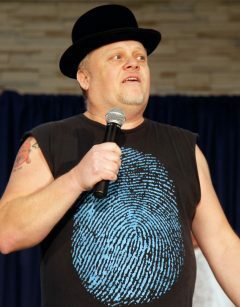 He is the founder of the Ottawa-based Canadian Floor Masters, Canada’s oldest professional Breakdancing/Bboy crew. BluePrintForLife offers dynamic, culturally appropriate programs designed for First Nations and Inuit youth that are founded on HipHop, rooted in traditional culture, and focused on community needs. Exploring the positive elements of HipHop becomes a survival toolkit for youth while celebrating traditional culture and leadership. In 2010, BluePrintForLife was the first organization from North America ever to be selected as a top finalist in the Freedom to Create awards, the world’s most prestigious awards for outreach through the arts. Matthew Wood’s Bboy name Creeasian is a blend that reflects his Cree and Vietnamese ancestry. He is a senior youth facilitator with BluePrintForLife and an accomplished dancer, DJ, and BeatBoxer (creating drum beats with his mouth). 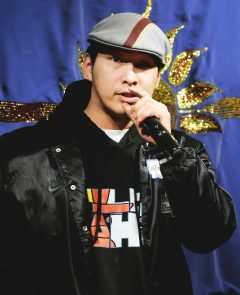 He has been working with youth for the past eleven years and strongly believes in empowerment through music and dance. In 2011 Creeasian won the Rockstar energy drink DJ battle, and the 2011 the Redbull DJ battle in Edmonton. Evie Mark is from the small Inuit community of Ivujivik in northern Quebec. An accomplished throat singer and skilled translator, she often travels with the BluePrintForLife team helping to integrate traditional Inuit culture into their workshops. Evie is also active in film production and has worked in every facet of this medium, from camera work and acting to editing and directing. 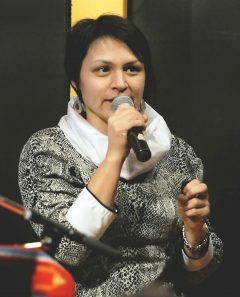 Her film work focuses on the issues affecting all aspects of life in the North. One of her films was featured at the very first New Sun Conference in 2002.